Does lunch in Giverny with Claude Monet in his yellow dining room appeal, or would you like to take tea with Jane Austen, or rather dine in magnificent style with Alexandre Dumas? 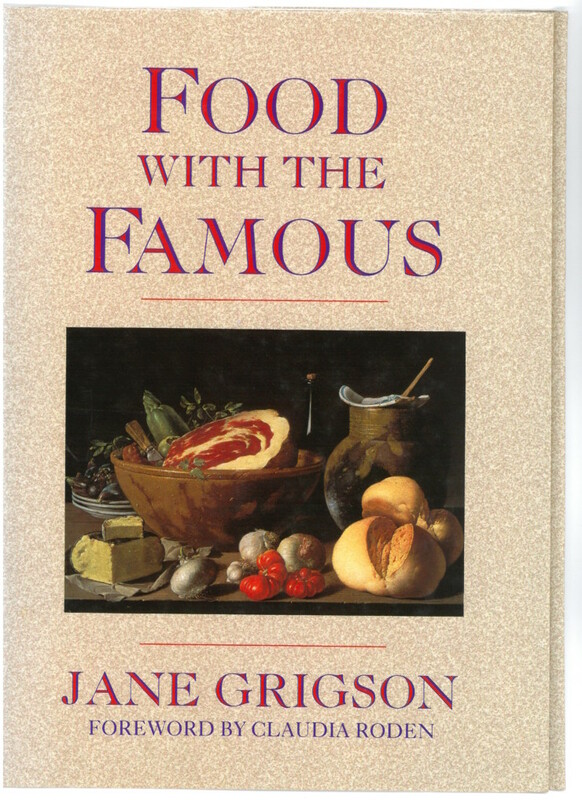 In this fascinating book which is part biography and part historical cookery, Jane Grigson shows you how. While researching this book, Jane acquired the manuscript recipe book of Lady Shaftesbury, whose husband, the statesman Lord Shaftesbury, is one of the ten notable subjects she chose to portray. Lady Shaftesbury’s valuable hand-written recipe notebook is now part of the Jane Grigson Trust Library held at Oxford Brookes University.